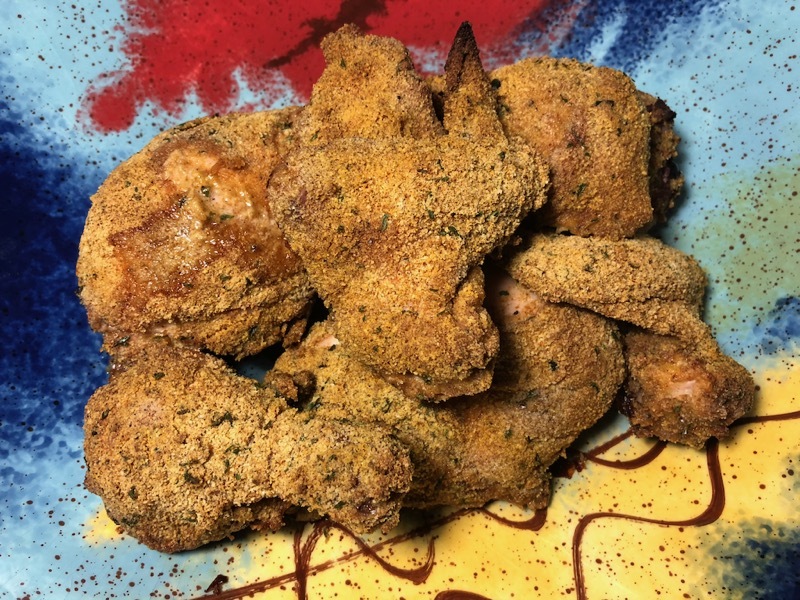 I ran the egg-washed chicken through the almond flour and spice mixture in a bowl, but you could definitely shake the chicken in a bag of the mixture for that classic “Shake & Bake” experience. Give it a try with pork chops or maybe even fish. In a bowl or deep-sided pan, mix together all ingredients except eggs and chicken. Run each chicken piece through the beaten egg, shake off excess and run through the almond and spice mixture to coat evenly. Would this be considered gluten free? We’ve yet to find a gluten free “shake and bake” that meets our taste buds satisfaction since my daughters were diagnosed celiac over the summer. It is definitely gluten free. You can adjust the spices to your taste buds’ delight!